There are two types of attributes in WooCommerce – custom attributes and predefined ones. 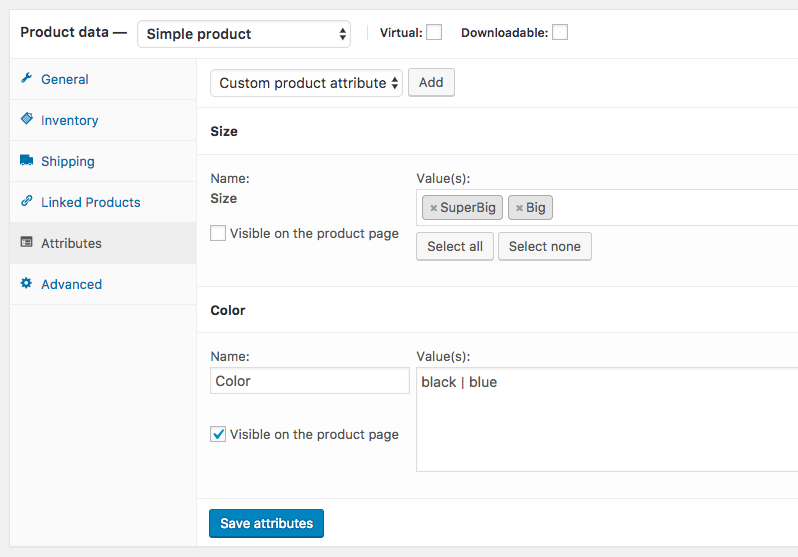 Custom attributes can be created individually on the product pages, to create a predefined attribute, go to Products — Attributes in admin menu. Read more here how to get a pair of consumer key and secret. If you want to use already existing attribute, you have to specify its ID which can be found on the Products — Attributes page, just find the attribute you need, click the Edit button and look at the URL. This code can be added where you need it. In your custom function. Actually the code above is enough to create a UI for users. But of course there would be HTML forms, JS etc. Hi, its great have a try.